"What would you say to Rex, if he were here?" Bleecker Street has unveiled a trailer for a film titled Megan Leavey, telling the story of US Marine Corporal Megan Leavey, played by Kate Mara. Leavey served in Iraq in 2005 and 2006, and was assigned to "clean up" the K9 unit. There she befriended a dog named Rex, who was particularly aggressive when she first met him. She worked with him and trained him and they completed more than 100 missions together, before an IED injured both of them. She then fought to adopt him while home recovering. It's based on a true story, which makes these even more emotional to watch. In addition to Mara, the cast includes Edie Falco, Common, Bradley Whitford, Ramon Rodriguez, and Geraldine James. As a big time dog lover, I'm so into this, doesn't even matter what the footage looks like. Based on the true life story of a young marine corporal whose unique discipline and bond with her military combat dog saved many lives during their deployment in Iraq. When she is assigned to clean up the K9 unit after a disciplinary hearing, Leavey identifies with a particularly aggressive dog, Rex, and is given the chance to train him. Over the course of their service, Megan and Rex completed more than 100 missions until an IED explosion injures them, putting their fate in jeopardy. Megan Leavey is directed by filmmaker Gabriela Cowperthwaite, making her feature debut after directing the documentary Blackfish previously. The screenplay is written by Pamela Gray and Annie Mumolo & Tim Lovestedt. 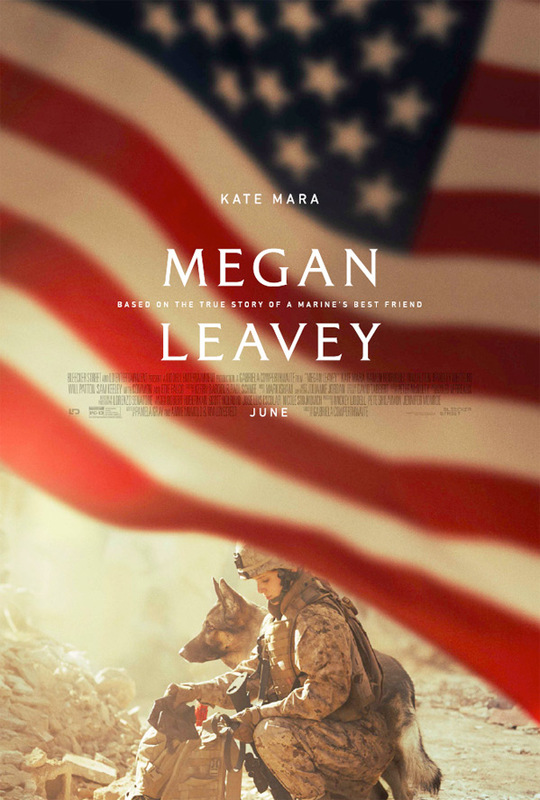 Bleecker Street Media will release Megan Leavey in theaters everywhere on June 9th this summer. Interested in this film?